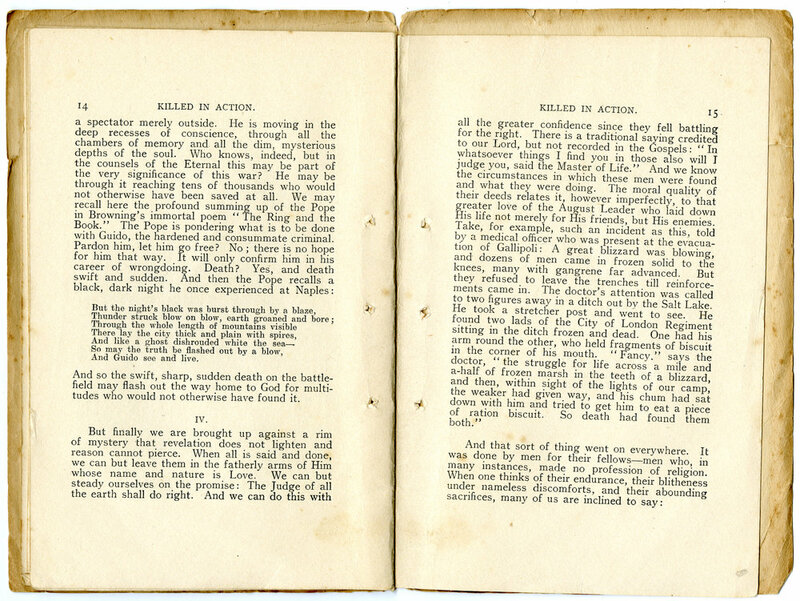 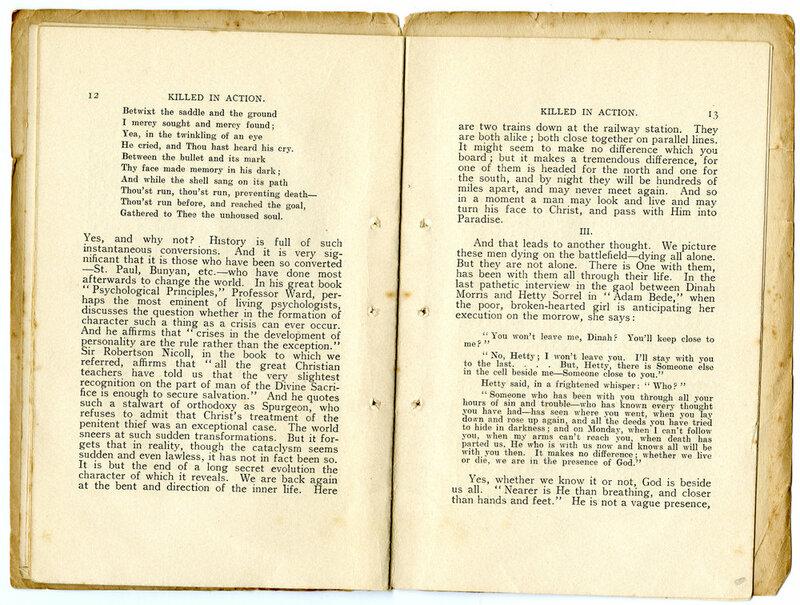 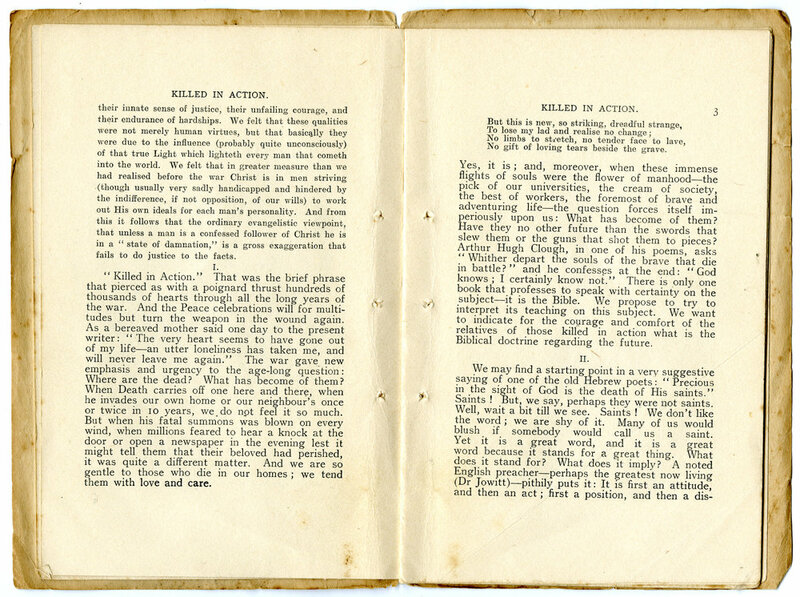 This treatise by Rev Rutherford Waddell considers the question if a soldier "killed in action" will be saved, regardless of a lack of Christian faith. 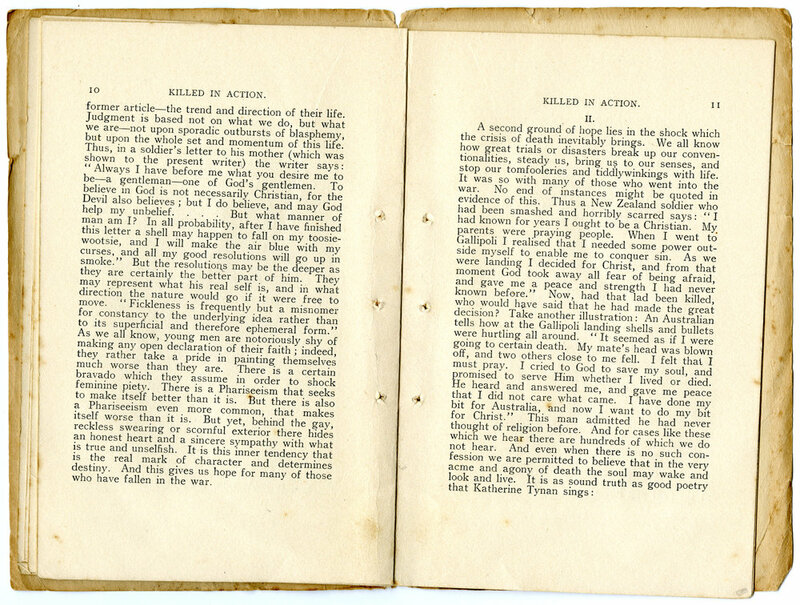 It was first published as a series of articles in the Evening Star (Dunedin). 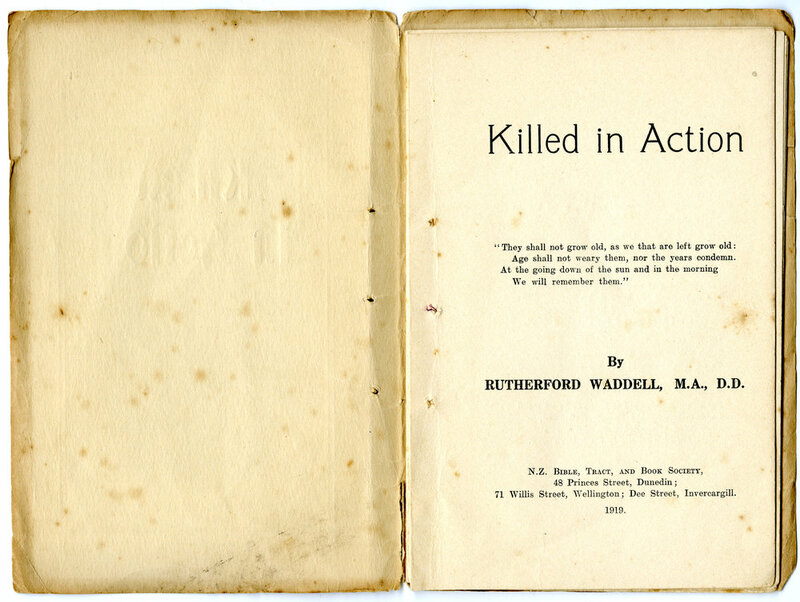 This booklet was donated through the My Family Story project - Reverend Waddell was the cousin of the donor's grandmother.